Have you ever gone out on the trails hiking or backpacking or even rock climbing? If you have then chances are you’ve used a daypack or a hiking backpack before. 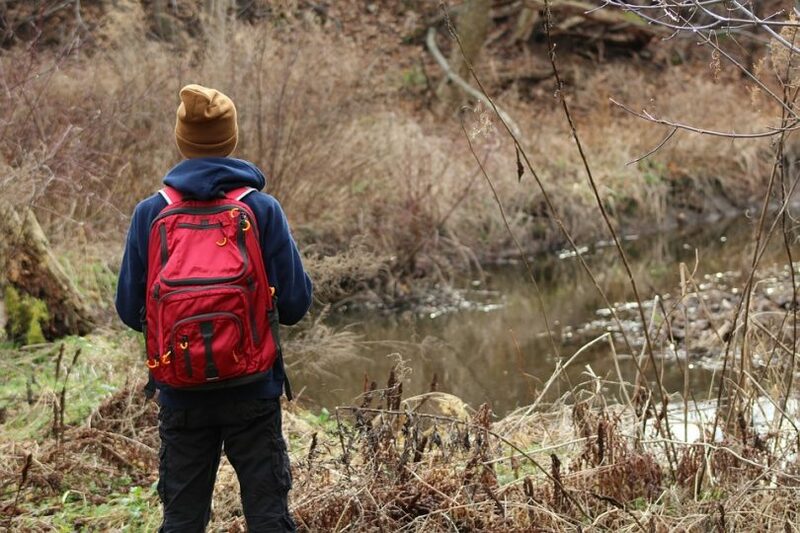 These types of backpacks are designed to be sturdy and strong so that they can withstand just about anything that you might come across in the wilderness. They’re also designed to make sure that you can carry anything that you might need. But what is a daypack specifically? It’s exactly what it sounds like, a backpack that’s designed to carry everything you need for the day. The first thing you need to do is make sure that you’re choosing a daypack that’s going to work for you. In choosing the daypack itself there are a number of things that you need to think about and we’ll talk about a lot of them right here. That way, you will be more than prepared when it comes time to get your own pack and start preparing it (and yourself) for the trip that’s coming up next. 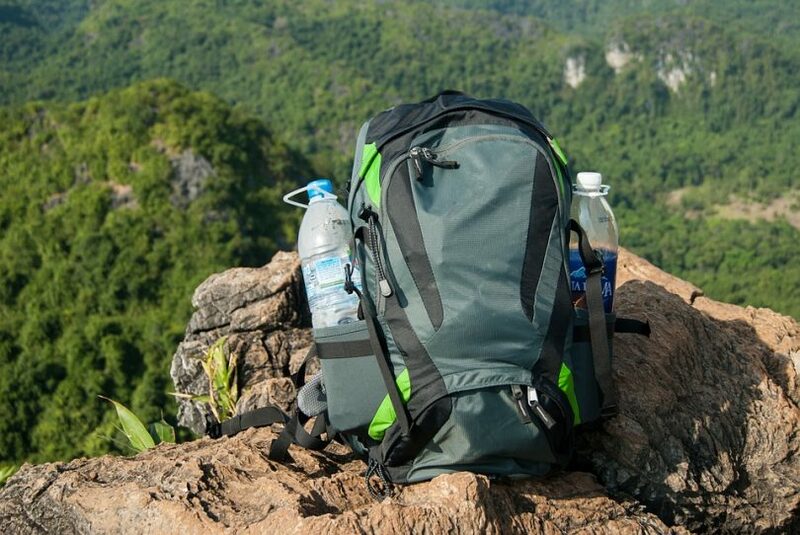 For tips on how to choose the best daypack backpacks, see our article on this important topic. The first thing you need to know is how long you will be gone for. 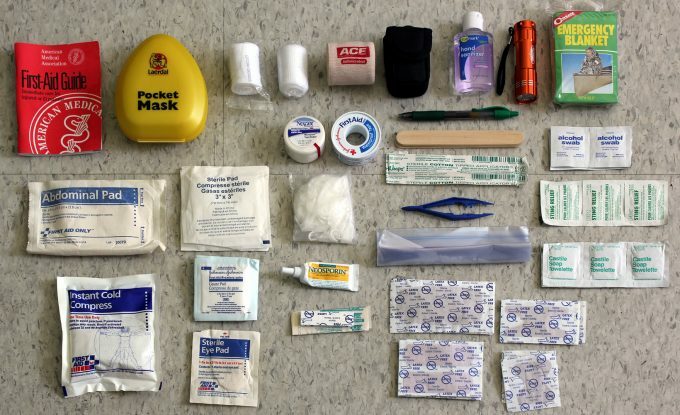 By figuring this out you’ll be able to determine the size of the pack that you actually need. 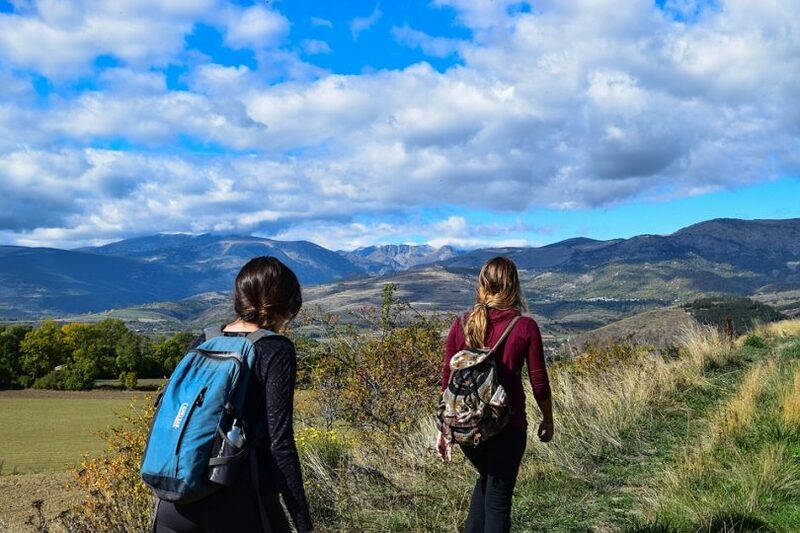 You’ll be able to figure out if a true ‘daypack’ is really what you’re looking for or if you need something that’s larger and capable of carrying more stuff. If you’re only going out for a single day and planning to come back at night a normal daypack is likely to be a good fit. 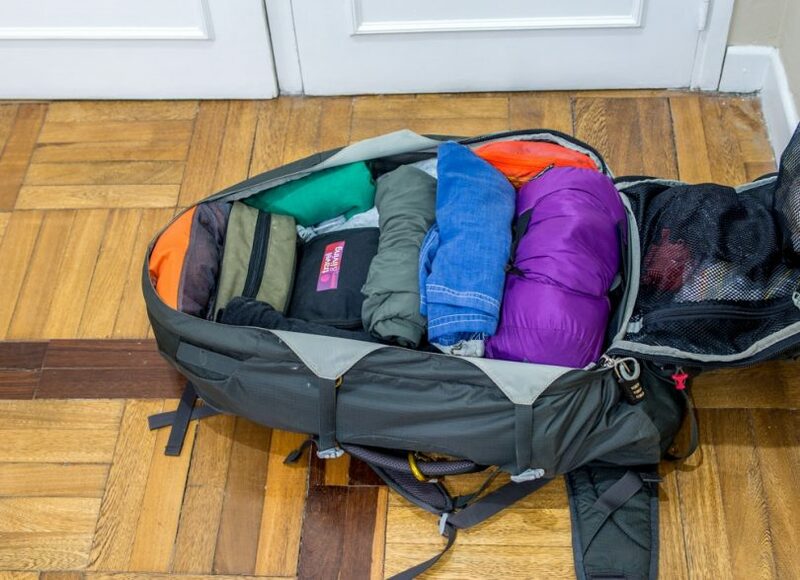 If you’re going for several days, however, you’ll want a bigger bag (unless you’re one of those ultra-light packers). This will also affect the size of the pack that you need. 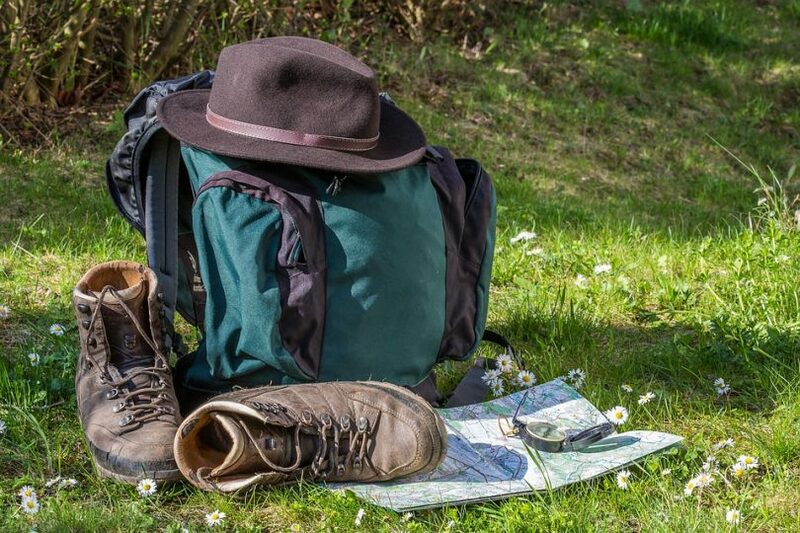 If you’re going hiking in Hawaii versus mountain climbing in Alaska you’ll definitely need different types of gear and that gear will weigh different amounts. If you need an extra pair of snow boots they will definitely take up a whole lot more space and add a whole lot more weight than your sunscreen. You need a pack that can accommodate the gear that you will be taking. Even if it’s only a short trip, more extreme temperatures could require more extensive gear. If you’re looking for something more traditional backpack shaped then you’re probably looking at a panel load bag. These can be good if you want to be able to go through all the items in your bag quickly and easily. If you tend to rummage through you’ll be able to find your stuff a whole lot easier. These bags may also have some pockets on the sides and even some pockets throughout that help you to organize your stuff a little more. They won’t be as balanced however, other than a strap that will fit around your waist in most instances. If you’re looking to pack more, however, a top load bag can be your best option because it lets you stuff a whole lot more in. Top load bags also tend to have more compression in them, which means it’s going to compact your stuff down to a smaller size and it will make sure that you are more balanced when you’re hiking. 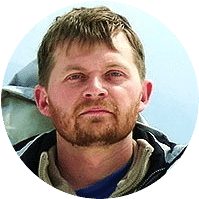 This can be a great benefit if you’re hiking for a longer period of time or over more unstable terrain because it keeps you level and comfortable while you go. One important thing if you will be hiking for any length of time is adequate ventilation through your pack. You want to be able to hike without feeling like you’re sweating all the way through your backpack, right? That’s what ventilation is meant to do. 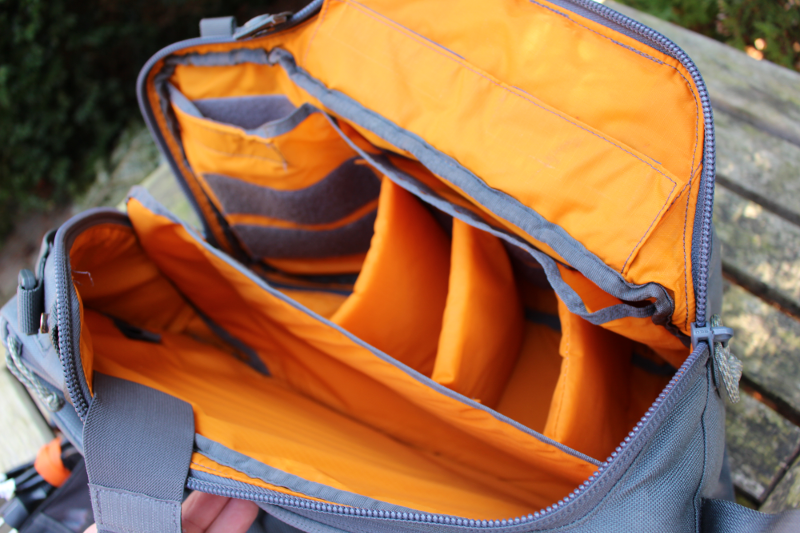 It’s designed to keep the backpack from being directly against your back (at least entirely) and it will allow air flow through the back as well as the shoulder straps. This is to keep you a whole lot more comfortable. 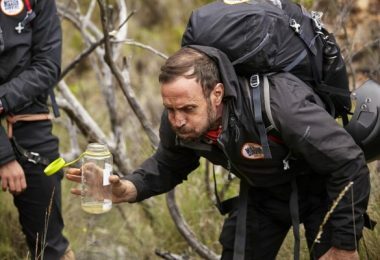 A number of daypacks now come with hydration systems in them or the ability for them. This will take away from the amount of packing space that you have, but it definitely makes drinking water while you’re on that hike a whole lot easier. 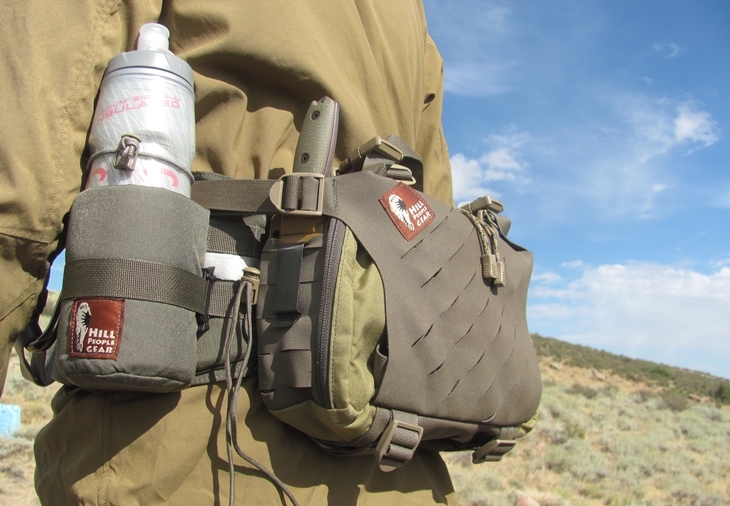 The hydration pack basically consists of a small to moderate sized bladder that fits into the back of the pack and connects to a hose that comes out of the pack and onto the shoulder strap of your bag. When you’re thirsty, all you have to do is turn your head and there’s water in the hose instead of stopping for your water bottle. There are all different sizes of packs even when you decide on the amount of capacity that you want. 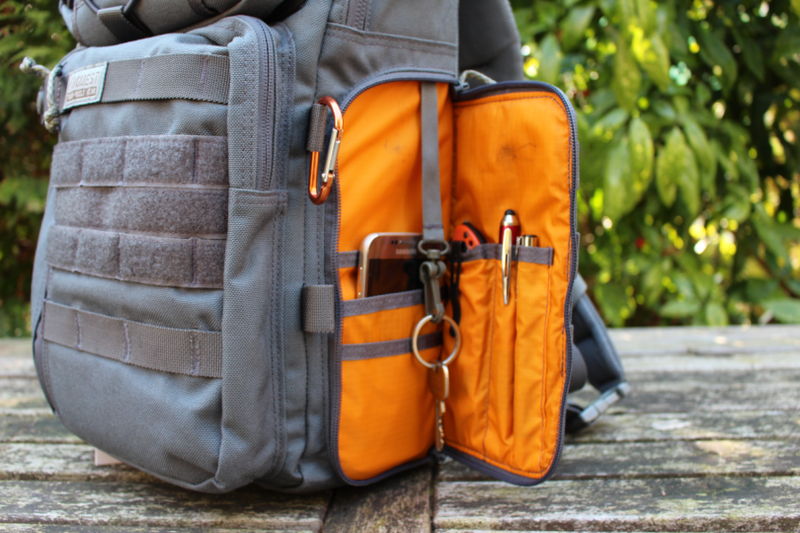 You want a bag that is built to fit you easily and you’ll be able to use whenever you need it. Keep in mind that most hiking packs are made with average size, adult men in mind. 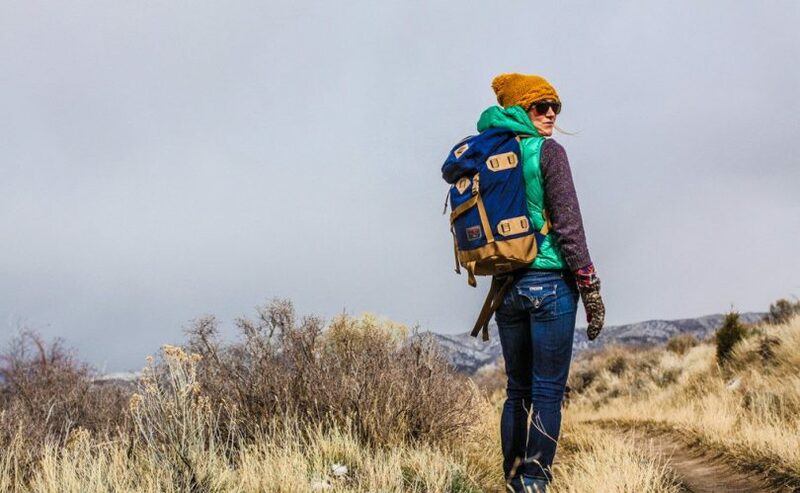 If you’re smaller or female you may need to start looking for a different type of pack that’s designed to fit you better than these other types of bags. The bag you choose should fit tight to your back (accounting for the ventilation) and all the straps should fit well, right where they’re supposed to. That means hip straps, shoulder straps, waist straps and anything else should be easily and comfortably adjustable to fit where you need them to. If they don’t fit right you should look for something different. What is your pack actually made out of? By knowing this, you will be better prepared to keep your pack protected from the elements as needed and to keep your stuff safe as well. You want a pack that’s waterproof but water resistant at the minimum. You also want it to be durable so if you toss it on the ground a few times (or more than a few) it won’t just tear open and leave you trying to carry all your stuff home in your arms. It should last a long time without breaking down or wearing out under normal use as well. You need a pack that’s lightweight even though it does offer you a more durable material. If your pack is too heavy you’ll find yourself struggling to hold it, especially over a longer trip or once you start putting stuff in it. 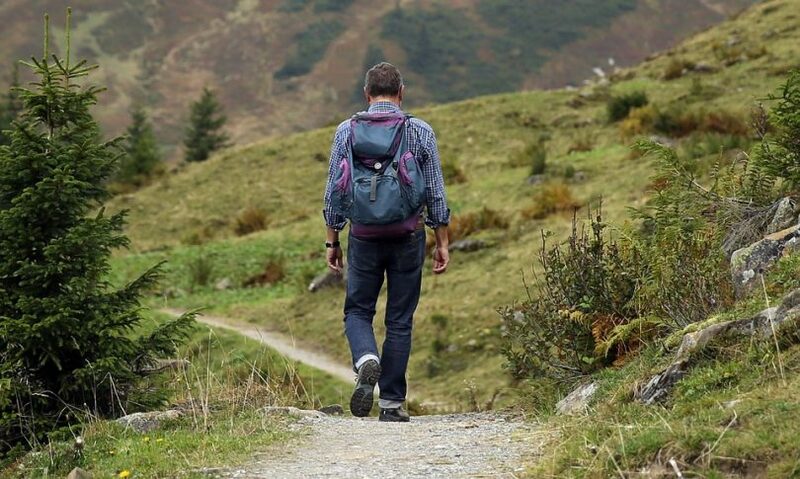 If you’re not able to carry the weight, you’ll end up having to leave things behind and if you find that out somewhere on the trail it means you will suffer even more as you try to hike or youthrow things out in the wilderness. A waterproof pack is essential in most cases, but it’s not just the material that makes it waterproof or watertight. Your material should be waterproof already, but some bags are able to be sprayed down with an added waterproofing product that really keeps them safe. Even more, you want to check all of the zippers, pockets, and seams. Check out our piece on the top waterproof hiking backpacks for your reference. All seams should be sealed over so that no water can get in. Zippers should have flaps that keep the water out at this weak point and pockets should have covers or some other way of keeping water out of them. 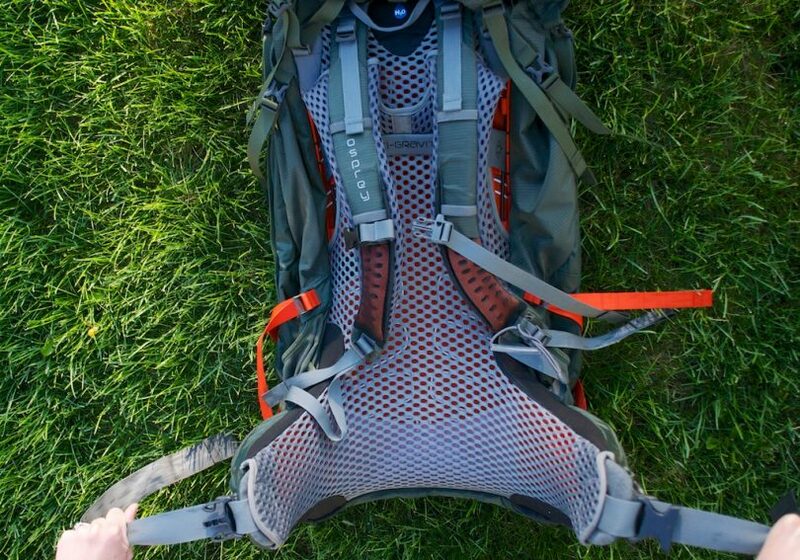 Some packs actually have added straps, loops, and clips where you can attach things like hiking poles, bungee straps or anything else to make sure that you have all the gear that you might need. Check the backpack you’re looking at to see if it has any of these things and to see what is really able to hold to the outside of the bag as well as the inside. This can save you a whole lot of money on a larger bag because it can carry some things right on the outside. Once you know how to pick out your pack the most important thing is that you start looking at what you’re putting in it. 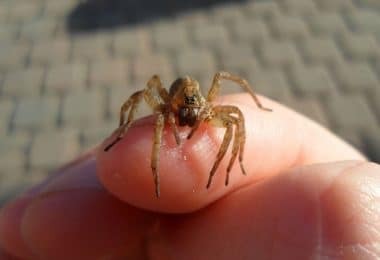 Of course, this is going to depend on where you’re going and how long you’re planning to be there and even what you’re planning to do when you get there, but there are a few things that you should always have in your pack. By understanding these things and getting everything packed in the right way (especially if you’re using a top loading pack) you’ll be better prepared for anything that happens on the trail and anything that you want to do when you’re out. You need to look at everything about your pack to make sure you’re familiar with it before you start putting anything inside. If you aren’t familiar with all the pockets and straps then putting things inside will definitely be difficult and you could end up losing things or putting them somewhere they can easily get damaged. You want to know where the larger pockets are, where the small ones are, where the loose ones are and a whole lot more before you start sticking things just anywhere. The first thing is to make sure that you gather up all the gear you’ll possibly need. If you’re only going out for a single day you’ll be able to take fewer things, but there are still plenty you’ll want. Just in case of rain you really want to make sure that you have a good liner on the inside of your bag. Some more expensive daypacks will come with a liner of their own that’s waterproof and sturdy, but just in case you want to have a good quality plastic bag that you can line the inside of your sack with. Make sure it’s thick enough to keep out the water and moisture and keep everything in your bag as dry as possible. You can generally find liners or you can just make your own using any old plastic bag you might have. Just make sure that it’s a heavy duty one that won’t just easily rip just from you getting in and out of the bag for the things you need. If you’re only going out for the day you probably won’t need those clothes unless something goes wrong so you can pack them at the bottom where it’s a little more difficult to reach them. Make sure everything is folded up neatly however as this is going to make sure you have plenty of space for everything else that you need. If you just jumble things in you’ll have a hard time finding anything and you’ll have an even harder time getting all the things you need in the sack. If you’re using a hydration pouch in your backpack you need to put this in right away. You can even put it between the liner and the outside of the bag so if the bag bursts it won’t soak all of your stuff. This also keeps it better protected from anything sharp on the inside of the bag. If you’re taking water bottles you can put one (and your hot drink) inside the bag and attach one to the outside in a pocket or on some type of strap so it’s easily accessible. These things you won’t need until a little bit later in your trip so they can go in the middle of your bag. You will need them (at least the food) but you won’t need to get to them immediately or in a hurry. They’ll sit between your clothes and all of your more important supplies so that if you need them you know where to find them. For the top first aid kit in the market, check out this our piece on this earlier to learn more. You can also put things like a camera or a book or anything else you might have brought along for your trip in this section of your pack. This is where you’ll want to pack the things you want to have fast access to. It’s likely to be your waterproof gear such as a rain cover for your bag and a rain jacket for you. You want to have quick and easy access to these things and that requires them to be right at the top of the bag or in an outside pocket. Make sure you keep track of where you’ve put them so you can grab them as soon as the rain starts. This isn’t exactly true because you likely won’t ‘fill’ your outside pockets, but you want to put everything that should be in these pockets on the outside. 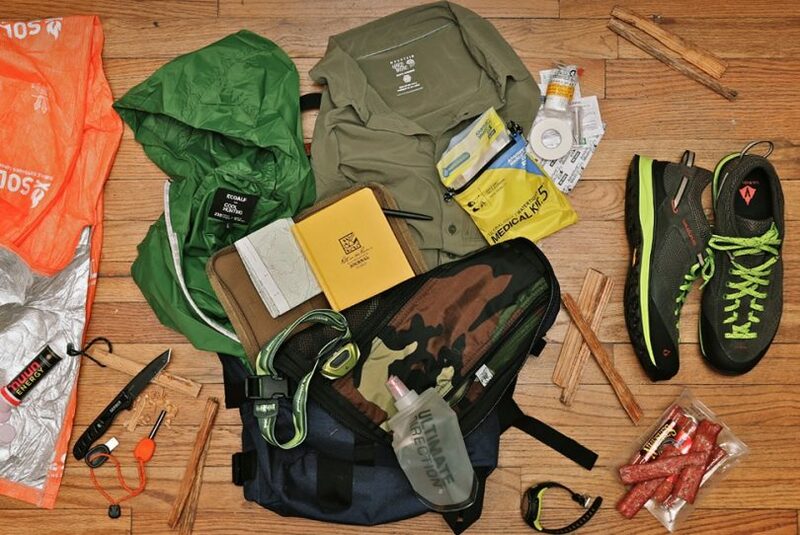 This includes things like carabiners, matches, paracord or rope and a Swiss army knife or another pocket knife. These things you want to have easy access to if you need them, but you probably won’t for a short hike. The problem is, they tend to sink all the way to the bottom of the bag if you don’t put them on the outside. Once you’ve got everything figured out and you’ve got your ideal daypack as well as your ideal gear all packed into it, you are ready to go. Your trip will be a whole lot of fun and as long as you pay attention to what you’re doing, you’re going to be ready to head back out whenever you want. So what type of features do you think are most important when picking out a daypack? What type of gear do you make sure you always have in it when you head out? 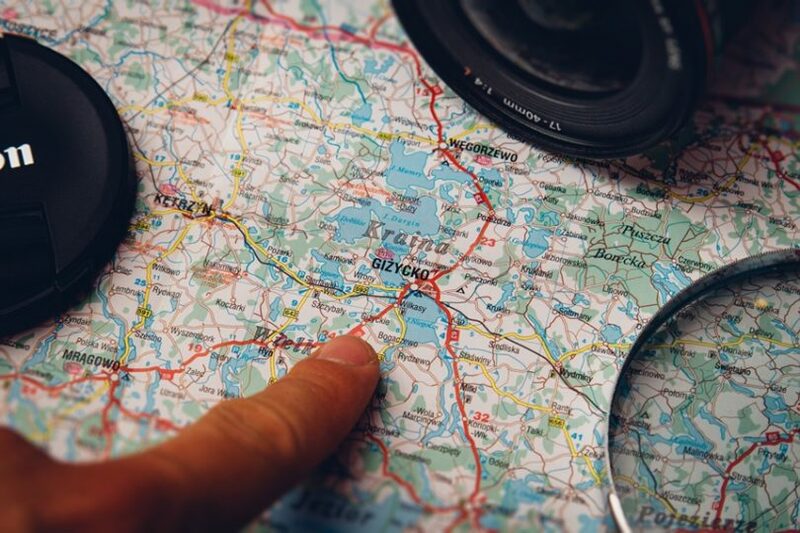 We want to know all about it because we want to be sure that any trip we take, or our readers take, is going to be exactly what they want it to be. 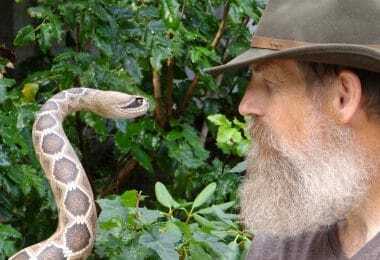 No one wants to get out into the wilderness and realize they forgot something that could have made their trip easier or even a little bit safer. So let us know what you think is most important.